I deliberately paced myself sensibly for the first two reps around my familiar patch of grass. Although still tough I felt I was holding back a little. My times were almost exactly as I expected*. Despite the slow walking between reps my breathing became uncontrollable and my legs heavier by my third rep. I still ran as aggressive as I could but my pace for the remaining reps were nearer my tempo pace than maximum velocity pace. I was easy on myself though, reminding myself that last week revealed my growing fatigue that I still hadn’t corrected. I decided not to punish my body any further. I didn’t feel my regular springy self. But I forced myself out. I knew I would be resting the rest of the week. I led my running group at work from the front as usual. First we charged hard up a short but steep hill. We recovered back down, then headed fast along a longer flatter stretch of pathway. We jogged back to the start again and repeated the hill. The final stretch was the shortest and slightly downhill. In between the three sets we undertook a mix of deep squats and single leg squats. Although I stayed strong throughout I consciously held back, not attempting my top speed. I was more pleased that my fatigue would end as I my short break from running was now due. I only accumulated 3.17 miles (16 mins and 53 secs) during my two hard workouts, recording 4:45-5:37 min per mile pace. 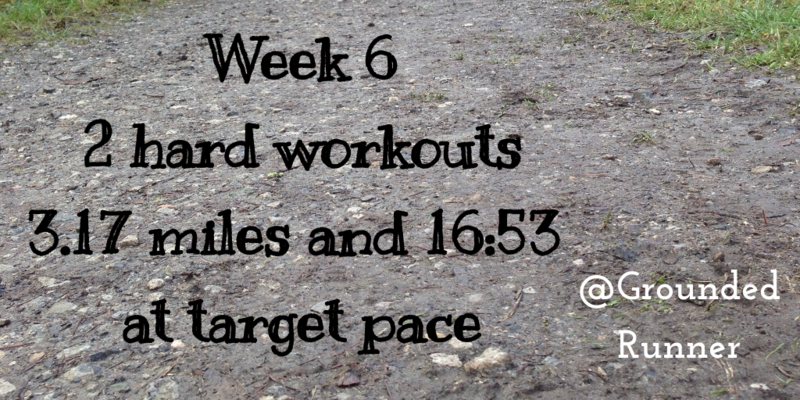 However, I knew my body needed adequate recovery and therefore during the week I enjoyed four rest days (Thursday – Sunday) and one day of easy running (Tuesday) amounting to over 5.25 miles. Although mentally challenging I am pleased that I was disciplined to let my body adapt to the stresses I had placed on it since the start of the year. To keep myself active I walked a lot and committed to exercising my core most days. I also frequently stretched my lower body. * 1 mile goal race pace is 5:00 per mile. resting is part of training too! Glad you shared that part of your journey! You’re absolutely right, Kate. The tricky task is always to know when to rest to find that perfect balance of stress and recovery. But it felt right on this particular week to take a break. Thank you for your continued support.